Garnet black color. 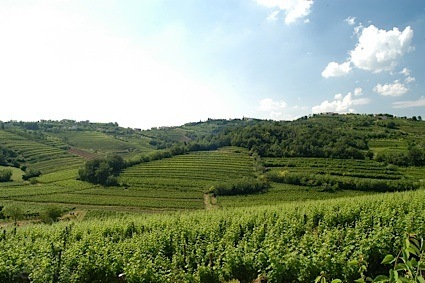 Aromas of cherry jolly rancher with a slightly chewy, vibrant, fruity full body and a peppery, interesting, medium-long spiced cherries and basil, Italian leather, candied lemon peel, and frosted spice cake finish with chewy tannins and heavy oak flavor. Enjoy a palate of juicy red fruit flavors in this hugely chewy wine. Bottom Line: Enjoy a palate of juicy red fruit flavors in this hugely chewy wine. 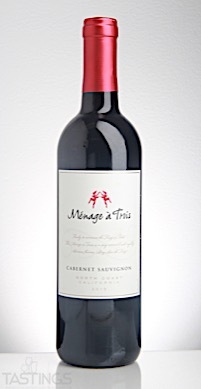 Ménage à Trois 2015 Cabernet Sauvignon, North Coast rating was calculated by tastings.com to be 84 points out of 100 on 8/3/2017. Please note that MSRP may have changed since the date of our review.